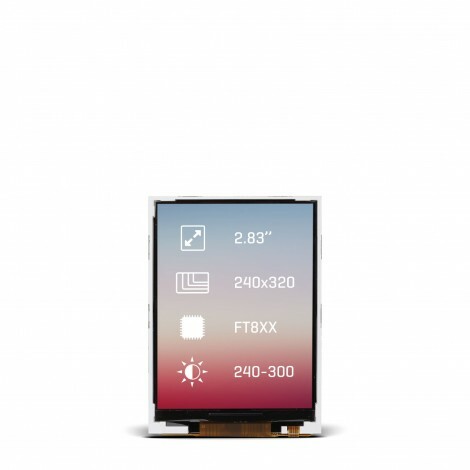 A high-quality cost-effective 2.83" TFT display module suitable for use in consumer or industrial applications, well integrated with MikroElektronika tools. The 240x320px screen is driven by an FT800 graphic controller which is supported in Visual TFT, the GUI design tool for rapid development of user interfaces. 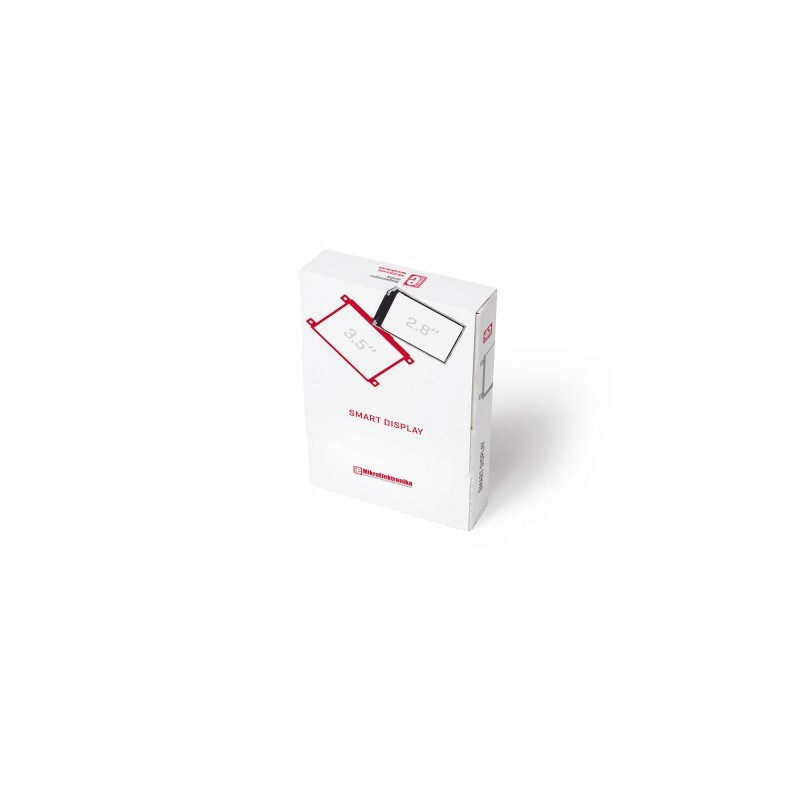 This model doesn't have a touchscreen layer which results in increased brightness – 300 cd/m2. The addition of anti-glare surface treatment makes further increases clarity. The connector uses a I2C/SPI interface. 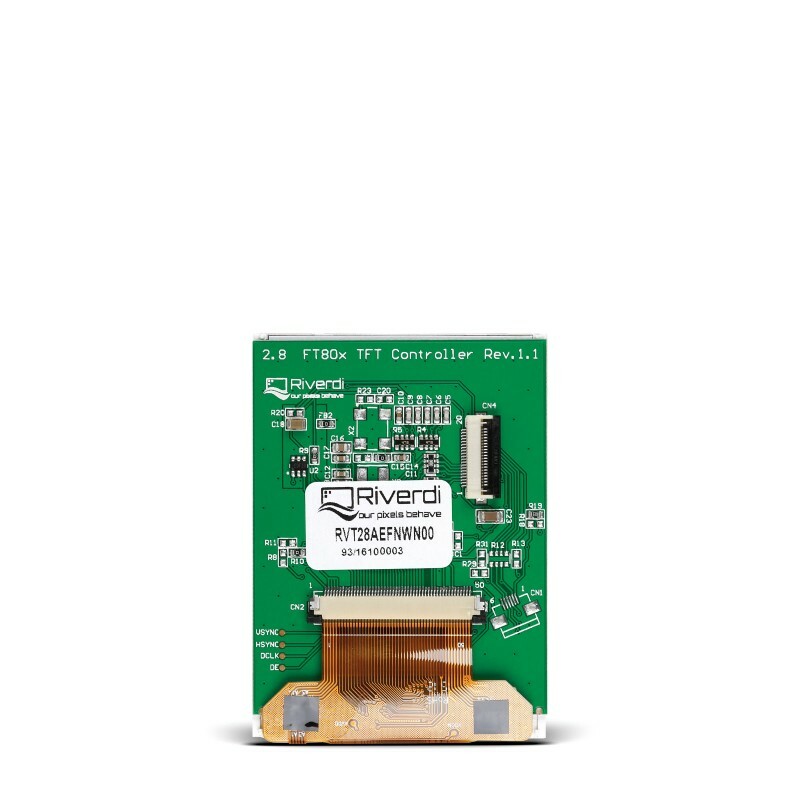 To use it with various MikroElektronika hardware, a Riverdi click adapter board is available (interface between the connector on the display and a mikroBUS™ socket).